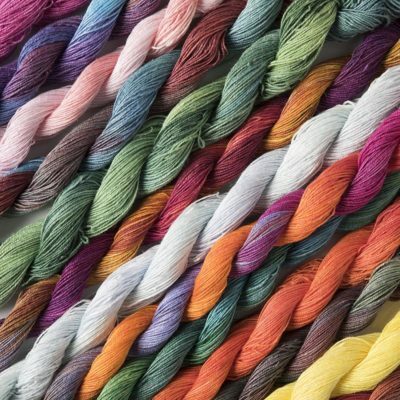 Stef Francis dyes two weights of linen yarn in 52 fabulous hand dyed colour range, 60/3 linen and 35/3 linen. Both these threads are good where very strong threads are required. 60/3 is the thinner thread. Excellent for embroidery and for creative textile work.